Size: 1½ in. by 1 in. 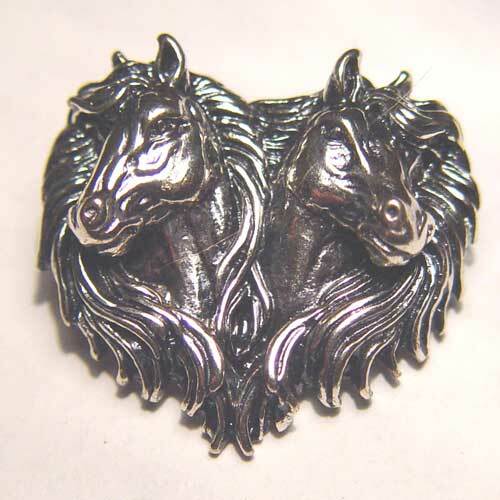 Desc: Sterling silver double horse head brooch. The horseheads face away from each other and form a heart shape.